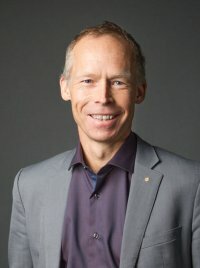 Johan Rockström is the executive director of Stockholm Resilience Centre. He is a Professor in Environmental Science with emphasis on water resources and global Sustainability at Stockholm University. Rockström is an internationally recognized scientist on global sustainability issues, where he, e.g. led the recent develop- ment of the new Planetary Boundaries framework for human development in the current era of rapid global change. He is a leading scientist on global water resources, and stra- tegies to build resilience in water scarce regions of the world, with more than 15 years experience from applied water re- search in tropical regions, and more than 100 publications in fields ranging from applied land and water management to global sustainability. He serves on several scientific committees and boards, e.g. as the vice-chair of the science advisory board of the Pots- dam Institute for Climate Impact research (PIK) and he was also co-chairing the visioning process on global environmen- tal change of ICSU, the International Council for Science. (Kingston, Ontario), where he also holds the Canada Research Chair in Environmental Change. Smol founded and co-directs the Paleoecological Environ- mental Assessment and Research Lab (PEARL), a group of students and scientists dedicated to the study of long-term global environmental change, and esp. of lake ecosystems. He has authored over 500 journal publications and chapters since 1980, as well as completed 21 books. 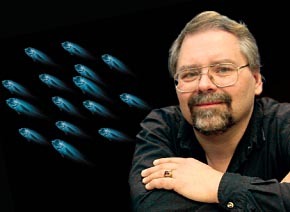 Much of his re- search deals with the impacts of climatic change, acidifica- tion, eutrophication, contaminant transport, and other environ- mental stressors. He has led research on circumpolar Arctic lakes for three decades. Since 1990 Smol has been awarded over 50 research and teaching awards and fellowships, including the 2004 NSERC Herzberg Gold Medal as Canada’s top scientist or engineer. In 2013, he was named an Officer of the Order of Canada, the country’s highest civilian honour.